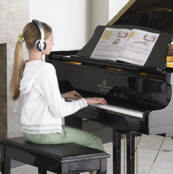 AZ PIANO REVIEWS: NEW Digital Pianos - My Top 7 Shopping Tips! NEW Digital Pianos - My Top 7 Shopping Tips! 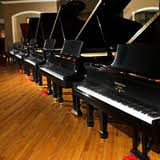 🎹 UPDATED REPORT - March 1, 2019 - TOP 7 Digital Piano Shopping Tips - READ THIS BEFORE YOU BUY! Shopping for a new digital piano is generally not an easy thing to do. There are so many brands, models, sizes, styles, colors, prices, and places to buy them from that it can make the shopping experience a difficult one. 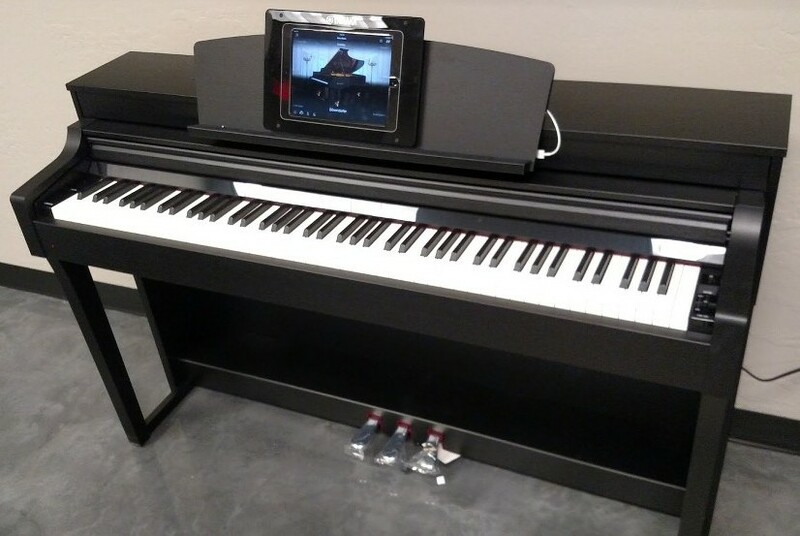 So what can a person do to make this an easier, more enjoyable experience when it comes to shopping for and then actually purchasing a new digital piano? Well...I'm glad you asked because I have some good answers for you! I have been working with, playing & teaching on hundreds of different types and brands of digital pianos and keyboards over my long music career. I keep up on all the latest brands, models, and digital technology and understand the things you need to know when shopping for a new digital piano. My digital piano blog is the finest resource for digital piano reviews and info on the Internet and you can find some useful info. However I want to share with you my top 7 things that I believe will enable you to more easily make an educated, informed decision on buying a new digital piano. Although the info I am providing here for you is very useful, you will still likely have questions and want some specific advice while doing your research on digital pianos, and if that's the case, I invite you to contact me personally with your questions and I will respond with the best advice I can give you (at no charge). The best way to make contact with me is to email me first, and if you live in North America, I am also available to talk with you by phone once we establish what your questions are by email. 1. 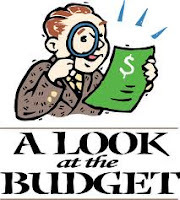 Know what your budget is before you shop - If you can, have a pre-determined budget before you go out shopping and also allow some room for increasing your budget based on the "wow" factor of the piano either in its appearance or because of its digital features that impress you. Don't limit your budget but don't spend more than you have to to get what you want. There are many good, competitive brands out there and some can do similar or even more advanced things for less money than a more expensive model in another brand, so shopping around and doing research is important. If you don't know what digital pianos cost or have no idea how much you'll need to spend to get what you really want, then just keep an open mind and don't settle for something just because it's a cheap price. You're buying a piano and it needs to work correctly and help you make good music. - Go to the following link to read my reviews on digital pianos under $1000: Digital Pianos under $1000. - Go to the following link to read my reviews of digital pianos under $2000: Digital Pianos under $2000. 2. 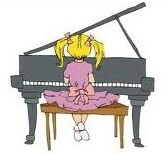 Know your what your musical goals are before you shop - Who will be playing and/or taking lessons on the piano? Are you looking for your kids to learn the piano? Are they beginners or more advanced? Do you want them to learn to play recreationally for fun or do you (or they) want to be involved with playing music in a more advanced, serious way? Will any adults be playing the piano? Do they already play well or are they beginners? Is the latest, cool digital piano technology desirable to have in the piano such as USB/MIDI plug & play output to iPad for utilizing exciting music educational apps? Would a better, more realistic piano key action be important? 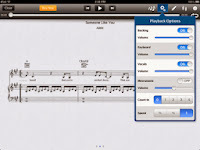 How about having the ability to play along with lesson songs recorded in the General MIDI format which helps with practicing your lessons at home? Digital piano features including more realistic piano sound & key action are usually directly related to your musical goals. Be sure you know what your goals are before you shop for and buy a new piano. Don't let a piano sales web site or piano/music store salesperson sway you into buying what you don't need one way or the other. You might be able to accomplish your musical goals on a $1000 digital piano or maybe you'll need a $4000 digital piano instead? But just because someone says you need a $4000 digital piano doesn't mean that you really do. You may be able to have a great time and accomplish your musical goals for half that price or less. 3. Know what style and/or color of digital piano you prefer - Are you wanting a portable digital piano that can easily be removed from a stand and transported or easily carried or would you like a more attractive furniture style cabinet in an upright or baby grand style? 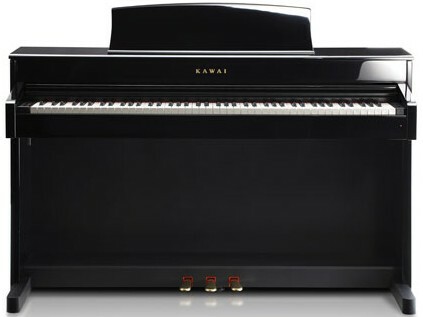 Some of these digital pianos look very beautiful in a home or studio depending on their cabinet design and finish. Do you prefer brown, black, white, satin or polished finish, etc? All of these considerations are important things to think about before you start shopping because different cabinet finishes, styles, and designs can add some cost to the final price you pay. You can also get digital pianos in the small baby grand furniture cabinets and I happen to like digital pianos in the small baby grand cabinets and I know a lot of people who feel the same. But they may either be out of your price range or too large to fit in your space. 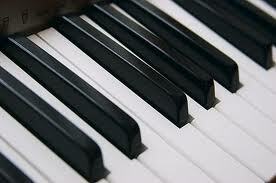 Just because a piano can look good on the outside does not mean they are good musical instruments on the inside. So be careful to not be "pulled in" by cabinet alone. After all, you are buying a musical instrument to play and enjoy music, and if the piano does not play well then at the end of the day, the cabinet will be of little consolation to you. 4. Know what to expect when you shop "on-line" or go to a local music store - When you are shopping for a piano and doing research, unfortunately many salespeople who work at on-line internet stores, general merchandise stores (like Costco, Sam's Club, etc) or local "mainstream" music store chains such as Guitar Center, Sam Ash, American Music, etc, typically do not know what they are talking about when it comes to new digital pianos, based on all my personal experience. They usually cannot explain the differences or why one piano model might be better than another for your particular needs and musical goals. They don't know the right questions to ask you to determine what you need or even how to use the various features & features of these pianos. In reality, many of these people are simply clerks or order takers depending on where you shop. I know this because I have been to these stores and have talked with numerous salespeople & clerks over the years who try to help you (when you ask them to), but they are mostly too inexperienced with these kinds of products to know much, if anything. Occasionally you'll find a knowledgeable salesperson who can help you and has your best interests in mind, but this is pretty rare. Mainstream music or general merchandise stores carry pianos that are usually lower priced models (under $1500) than what you'll find at an actual piano store. But price is not everything because you need to make sure you're getting the right one for your needs. When you shop for digital pianos at an actual piano store, those salespeople tend to know a lot more about the products they have and can help you better, but the pianos they carry are generally higher priced models over $2000, but you can negotiate with the salespeople for their "best discount price" as some piano stores are flexible on their discounts. You will see many new digital pianos in traditional piano stores that are simply not available in the mainstream music stores and you may really like one of them and be able to spend that kind of money. Different types of stores have different price ranges and experienced or inexperienced salespeople, so it can become a bit frustrating to shop for a new digital piano because you can wind up becoming confused as to what you really need and how much you should pay for it! However, if you want help with clearing up the confusion...Contact me for FREE ADVICE BEFORE YOU BUY! My motto is, "you do not have to spend a lot of money to get a satisfying digital piano playing and practice experience!" 6. Know what brands & models are available - There are many of them and some are good and some are...bad. I have personally seen some of the digital piano brands sold through general merchandise and mainstream music stores and some of them are just inferior overall and in some cases, down right terrible. Those brands can look great on the outside and have a very low price, but as far as investing in your piano future, you would be very sorry you spent the money, especially if your goal is to get a good piano. Here are some examples of digital piano brands that are available (not in any particular order): Roland, Kawai, Yamaha, Samick, Kurzweil, Omega, Korg, Viscount, Suzuki, Artesia, Casio, Williams, and there are others. Within these brands there are multiple models available. So how do you choose and where can you see them? In many cases, you cannot physically see many of the brands or models in a store because of many reasons. Some stores cannot afford to carry many models so they limit their selection, they may not have the space, or they may not be able to get those brands. You just have to research and eventually place your order (if you haven't actually seen it in person) and trust that it will work out good. And even if the brand is a highly respected manufacturer, that does not guarantee you the model they have is superior to another or is the right piano for you. As an example, right now Yamaha has a digital piano model called the Arius YDPV240 that sells for around $2000 and yet it uses the same lighter weight key action called the GHS key action as is in their $600 portable digital piano. 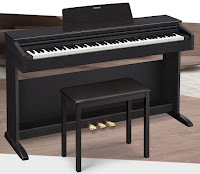 However if you spend LESS money at approx $1700 for a Yamaha YDP181 or approx $1500 for a YDP163, you get their upgraded GH key action found in the more expensive Yamaha CLP Clavinova line. Just because one piano is more or less money than the next model does not necessarily translate into a better or worse piano. 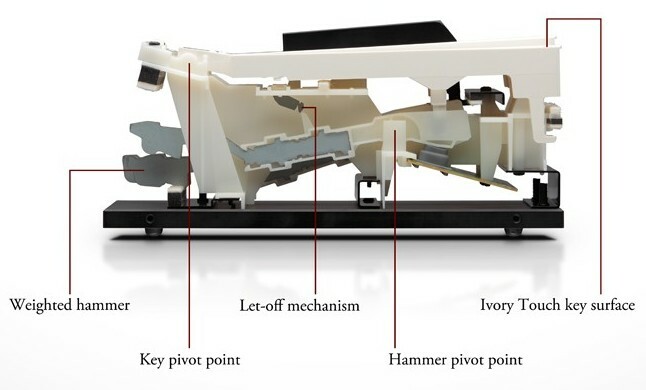 In my opinion the piano models should stand on their own and they need to have the right balance of technology, construction, reliability, and price to compete and be the right piano for you. So don't rule out one piano over another just on "paper specs" alone or what a brochure says. All the brands and models are considered WONDERFUL & AMAZING by their makers because that's what they're supposed to say as they are in the business of selling them to people like you. But what you read may not be the actual reality as I have found many times. So be careful when shopping for a specific brand and limiting yourself to that brand or model just because a friend, piano teacher, or on-line consumer review says it's a really good. There may actually be better choices out there. The great thing about digital pianos is that their technology (in most of the good brands) keeps getting better & better as the years go on. And with the amazing technological improvements we see in everyday electronics like cell phones, iPad's/tablets, computers, TV's, home audio & video recording, GPS, and a host of other incredible devices, one thing is for sure, digital pianos will become even more exciting in the future than what they are now. 7. Know the conveniences of owning a digital piano - On most digital pianos you can play in privacy using stereo headphones which is one of the nicest features about owning a digital piano and great for a families sanity when you have other noisy things going on in the house at one time! Plus you don't feel intimidated or embarrassed when you play wrong notes cause no one can hear you:) You can (on some models) electronically divide the 88 keys into two identical 44-key pianos and have two people play at the same time including teacher & student, brother & sister, etc. 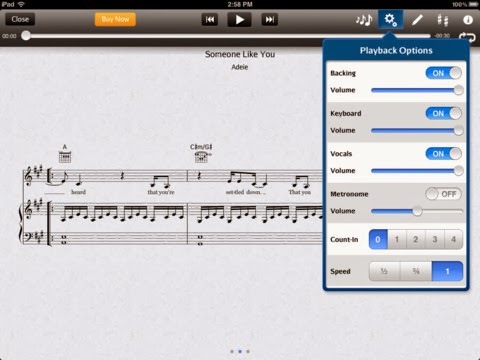 You will not need to tune your digital piano...EVER! That will save you a minimum of $1000 if instead you had an acoustic piano and tuned it just once a year for 10 years which is fairly normal for people who own acoustic pianos. You can connect to the internet from a USB/MIDI to iPad/computer output. There is an incredible world of music related learning, notation, and composing apps and programs out there that make playing & learning the piano great fun, especially for kids. You can't do that on an acoustic piano:). You can record yourself playing and then listen to how you did. That helps with understanding what you did right in your piano playing and what you did wrong. It's a great practice tool. A furniture cabinet digital piano is typically much lighter than a regular acoustic piano so it's fairly easy to move, and a portable digital piano can easily by moved and you can even take it with you as many of these portable digital pianos weigh anywhere from about 25lbs to about 50lbs. You can be creative and mix instrument sounds together to create a full orchestra or band which motivates many students and players because you can better recreate the music that you hear on CD's, radio, iTunes, etc. In reality, some people can be just as happy playing and learning on a $800 digital piano as they can on a $5000 digital piano and that's because they cannot recognize the differences based on their previous piano experience. It all really depends on your playing skill level, your piano playing or music experience, and what your expectations are. In the $1500 range, there are digital pianos that play & sound great for the price and have helpful built-in digital piano technology and will be more than enough to satisfy many people. But there are also $2500-$5000 (and up) digital pianos which do many things, some of which you'll never use, but the realistic full acoustic piano sound and higher quality key action are so good that it justifies the price in some cases. You can be certain there are usually big differences among various new digital piano brands and models, but you just have to know what those differences are and why you might want or need them. You don't necessarily have to go to a traditional piano store to buy a digital piano because you can get good ones on-line these days for low prices at internet stores. But piano stores do offer some very cool models with great technology that you will not see in the mainstream music stores. Some of that newer digital piano technology on the higher priced pianos is great for helping you learn and play better and some of the furniture style cabinets look quite attractive in a home living area. One of the big questions I get asked by many people across the US and the world is "do I really need all those bells & whistles on a digital piano?" As an experienced piano teacher & musician my answer is always "it just depends what your musical goals are and the kind of music you'll want to play." Music is supposed to be enjoyable to play...that's why most people do it...it feels good and it can be a very deep, moving experience for a person (it is for me). So will the "bells & whistles" make you feel better? They just might do that (and for many people they do) and then you'll be very happy you have them. 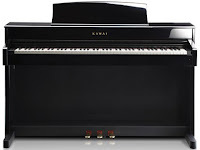 But for those people who are absolutely positive that they want to primarily play piano and do little else on the instrument except get the best key action movement and piano sound realism they can for their budget, there are definitely digital pianos that do a better job of that than other models. I can give you free help with your questions if you email or call me direct (calls from North America residents only please). Number 5 is great info! Thank you. This is the best piano blog on internet. Keep up the good work. Just want to thank you Tim for taking the time out and making this website. Very, very helpful. You provide a great service both to my music needs and wallet! If all goes well I'll be the proud owner of a Casio Privia PX-850 soon based on your recommendations. I'm 46, so I'm starting late, but I figure that before I die at a nice old age I can still compose pieces that at least I'm happy with. Any tips as to how to begin at this age with the goal to eventually compose would be really appreciated. I just want to thank you for taking the time out for making such a great website. Very, very helpful! Thanks to your advice I'll be getting a Casio Privia PX-850 very soon. I'm 46, so I'm starting out later in life, but I intend to be able to compose music someday even if it's just for my own liking. If your willing to share any tips or thoughts as how someone my age should go about this I'd really appreciate it! I'm not even sure where to begin but just know that I have so much music, even of an orchestral nature, flowing through me with no outlet till now. I've had this since I was 6. Anyway, tips or not, what you've created with your website is not only very helpful but kind to my wallet for what I need. I'm sure others feel the same. I am currently shopping for my first digital piano and really appreciate you doing this for the world of people like me.